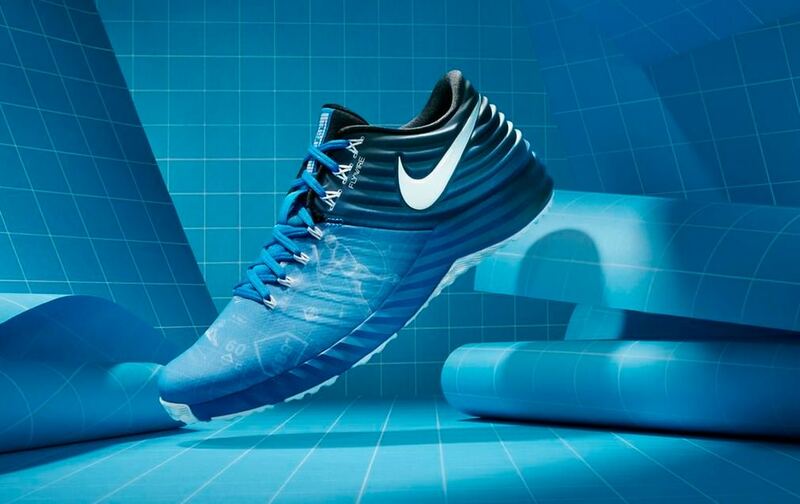 The second Nike Lunar Trout has been unveiled… MY OH MY IS IT AMAZING! Yet again highlighting the ridges inherent to the Lunarlon midsole design, this rendition is the shoe that the Lunar Trout 1 should have been. A unique aesthetic, a beautiful design, (likely) a performance beast, this is THE signature shoe in a generation where signatures across sports slowly meld with team models to lose their luster. Featuring a wrapping of ridges around the heel panel similar to last year’s, the materials will provide a fantastic fit that contains the ankle and keeps the foot over the footbed. The inner-bootie returns in nearly identical fashion (now with a Trout speckle perforation) and should enhance the wrapping effect of the heel panel. 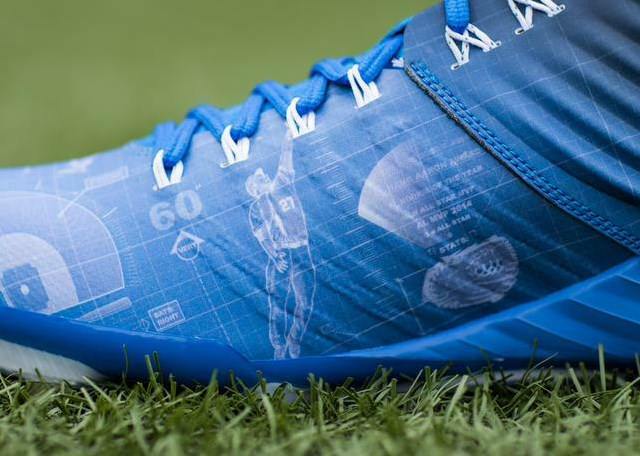 The carry-over of the heel panel from the previous edition suggests that Mike Trout loved the heel fit, regardless of the public’s approval of it. The ridges on the heel panel provide a flexible and supportive fit that will move with the foot without restricting mobility. Flexibility should be fantastic in the forefoot as well. The single piece midfoot and forefoot will allow the materials to mold to the foot’s shape. Nike debuts its proprietary NikeSkin in baseball on the Trout 2. A thin and malleable fuse overlay is layered with engineered mesh to provide support in a lightweight and flexible package known as NikeSkin. 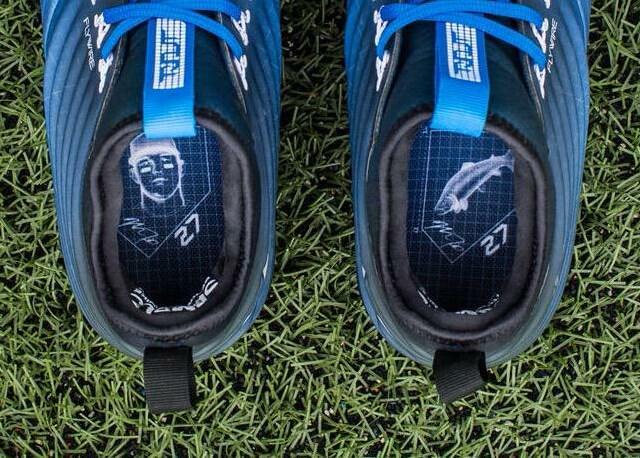 I would expect this to be one of the best fitting cleats out there. Wide footers should be good to go with this upper construction as the NikeSkin should expand and conform to all foot shapes. One thing to note is the lack of an external toe cap. This may cause the toe to wear more quickly than the previous version. The Flywire serves as the lacing system for the forefoot and as secondary support in the heel. Stand-alone Flywire typically serves a much more secure fit and adaptable fit than most other lacing systems aside from knit. A neoprene bootie throughout the shoe will enhance this secure fit as well as alleviating the pressure from the individual Flywire cables. 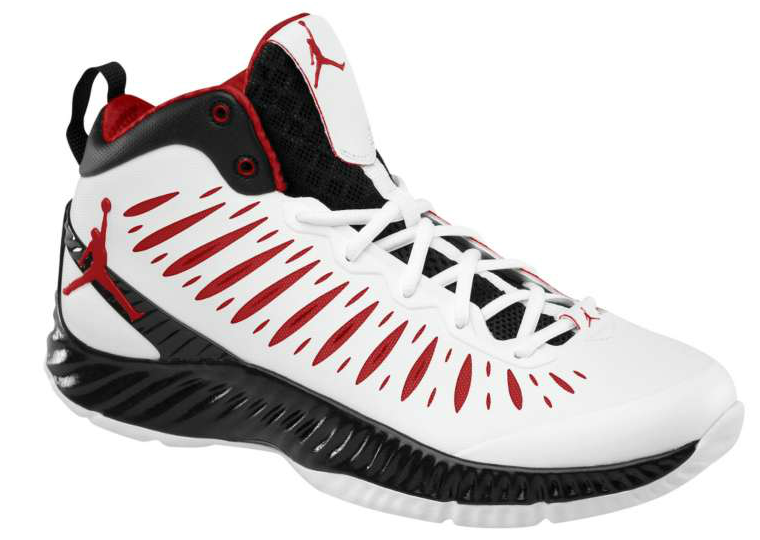 The midsole construction reminds me of the original Jordan Super.Fly. The shallow and spaced out ridges of the Lunarlon trend from nearly vertical to horizontal generating an aggressive and powerful aesthetic. The ridges continue onto the Flywire channels on the upper. The midsole is composed of Lunarlon as was the previous version. This time the heel cup of the shoe is contained within the heel panel rather than being an extension of the midsole. Lunarlon is a very comfortable cushion. I’d consider it nearly perfect for baseball, the foam molds to the foot’s shape and still maintains a strong amount of support and provides for a comfortable fit. The outsole plate is carried over from the previous edition and provides independent lateral and medial traction while also being stiff from a front-to-back stand point allowing for a springback effect when sprinting. Aesthetically, this is the most appealing product released by any Nike division this year. I’ve been very turned off by the basketball line (Kobes, Lebrons, KDs, and team models) and wasn’t too high on this year’s baseball line up either (Air MVP Pro, Air Max MVP Elite, Huarache Pro). The football models bore me and running apparently has decided to make only one style of upper with many different outsoles. The sportswear division can’t produce any colorways that make any sense to purchase and generally lack creativity. The Lunar Trout 2 breaks this mold of monotony and delves into the depths of Nike’s design core and proves Beaverton still has some new ideas in its arsenal. The design lines are unlike anything ever before created by Nike and generate a truly unique shoe for a truly unique player. The colorway possibilities are also very intriguing. I love having the heel panel and forefoot panel contrast in distinct ways. To add in the aggressive forefoot swoosh in a third color would just be unfair. The Flywire channels could be painted in another color allowing for a piping effect. The NikeSkin apparently lends itself to prints as well. 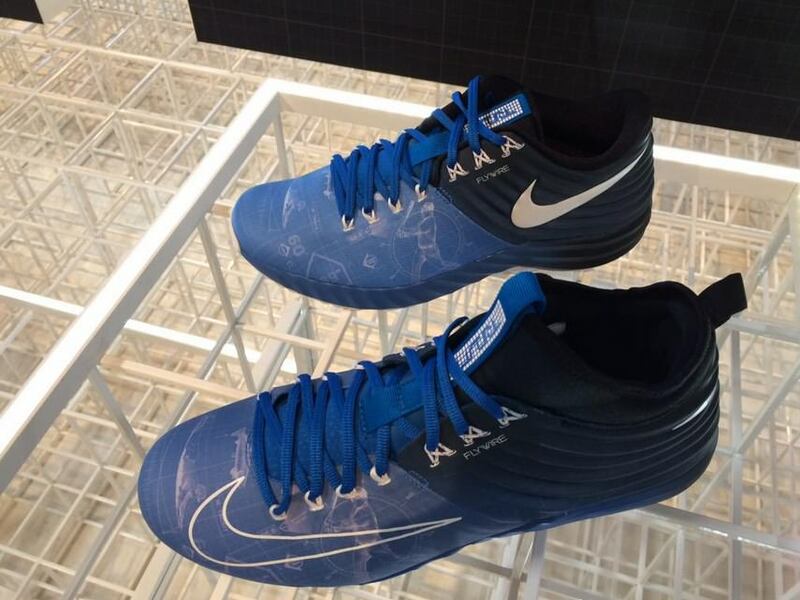 The Blueprint design is reminiscent of Nike’s basketball themes that really have nothing at all to do with the players. 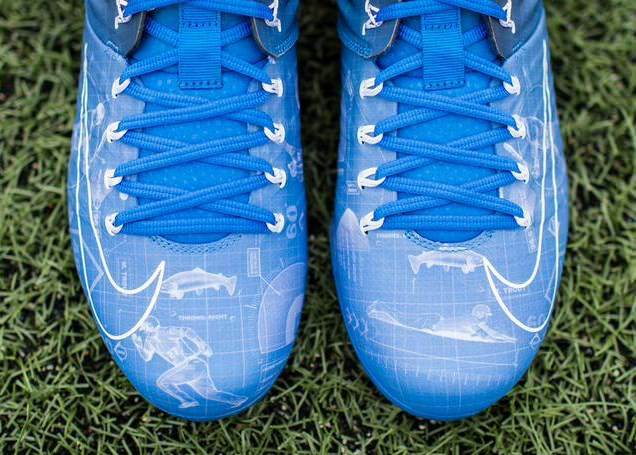 It’s one thing to have a KD based on a his dream to be a weatherman, it’s another thing entirely to have a shoe based on his Camaro. Or a Lebron based on his journey to Southbeach compared to an entire shoe being based on his being a spokesman for Sprite…Nike, if you want to make a cool colorway just call it the colorway, not everything has to have a story behind it. Regardless, the Lunar Trout 2 should be available in some truly amazing colorways. 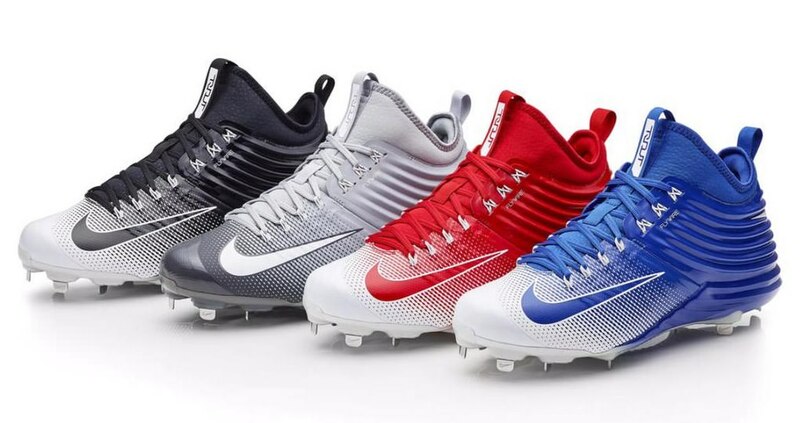 Last year, we all called for Nike to create a Trout turf. We waited and waited and received no indication about the status of such a dream shoe. 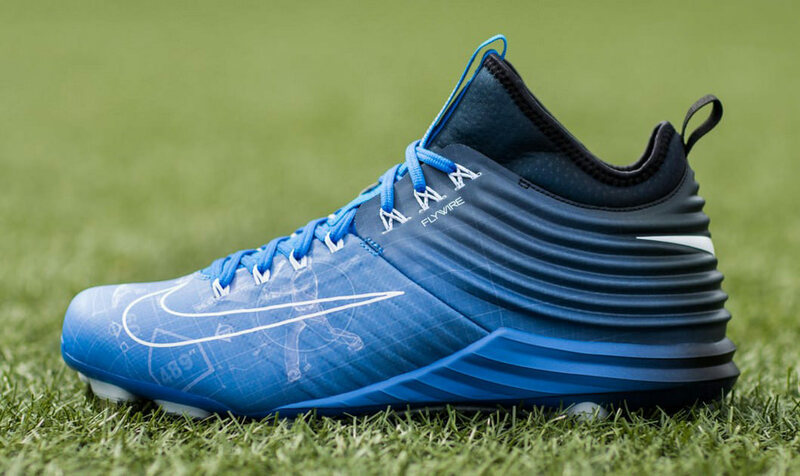 This year, Nike unveiled the Turf along with the Cleat, and the Trout Turf is everything we wanted. 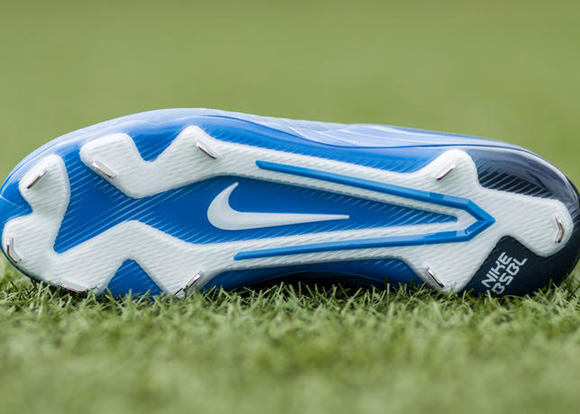 Remaining pretty much the same as the cleat, the same design elements are carried over, albeit with a re-positioned Swoosh. The midsole maintains its low profile. The upper construction drops the neoprene bootie and it is replaced with a lavishly padded collar and a slightly less padded tongue. This shoe is perfect for the baseball player looking for a shoe to lift in, hit in the cages, run drills during a practice switching from indoors to out and back, or just look fly off the field. For fans of Trout just looking to support the guy, these are a great way to do so. 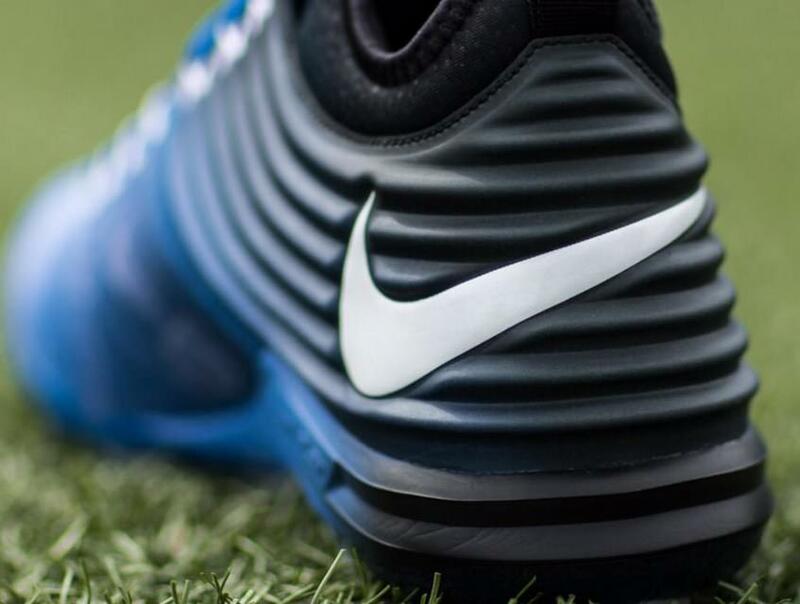 The Nike Lunar Trout 2 will be available on October 3. The Blueprint pair will be available exclusively at Nike.com. Other colorways will be available at Nike.com and other select retailers. Thanks to weartesters.com for information used in this post.